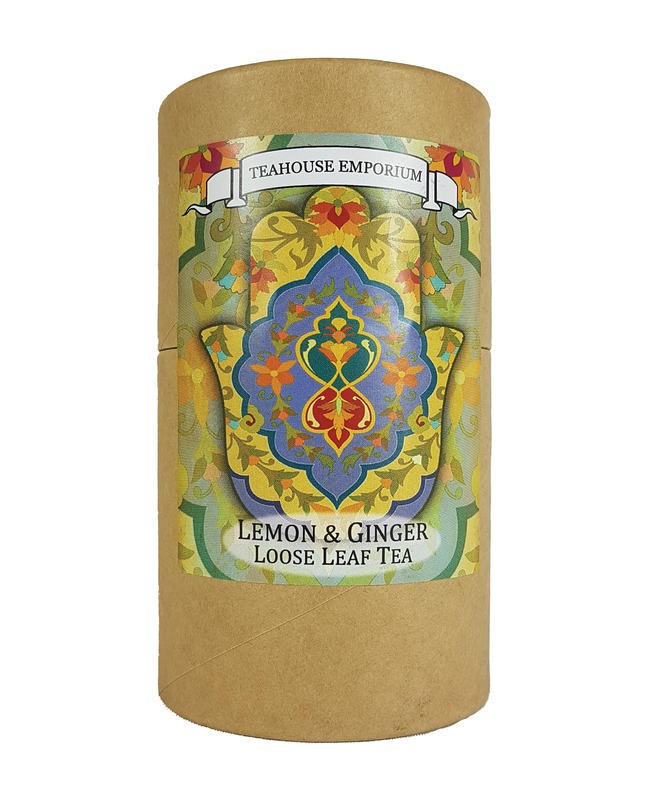 An elegant gift tube filled with our lemon and ginger herbal tea. A warming loose leaf blend of ginger root, pieces of lemon and lemon grass. This caffeine free tea gives a strong, well balanced flavour that’s great after a meal or at any time during the day. Ingredients: Ginger Root (min 79%), Lemon Pieces (min 5.9%), Lemon Grass, natural lemon aroma. May contain traces of nuts. Suitable for vegetarians and vegans. Each tube contains 50g of tea. Prefer tea bags? Find our lemon and ginger tea bag gift tubes here! Lemon and ginger tea is known for helping to boost energy levels, aid digestion as well as helping to relieve cold and flu symptoms.